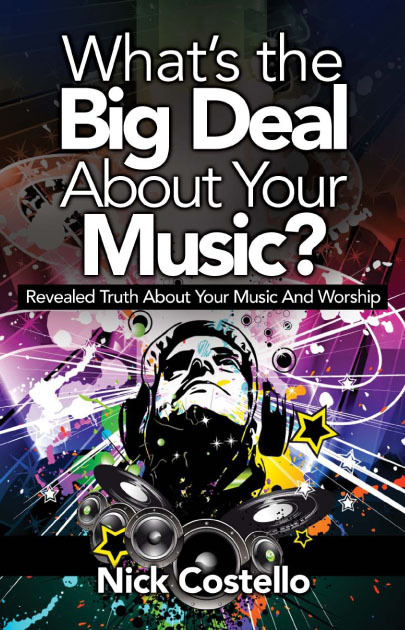 Using solid biblical truth, author and former rock star Nick Costello challenges teens to trash ungodly music in What’s The Big Deal About Your Music? Too many Christian adolescents today are compromising their godly values in favor of opening up their hearts and lives to the devil, fellowshipping with him through secular music that espouses ungodliness and evil. Therein lies the danger; teens are unaware when they listen to music representative of Satan’s kingdom that they’re giving him the honor, glory, and worship he’s always desired. Within the pages of What’s The Big Deal About Your Music? 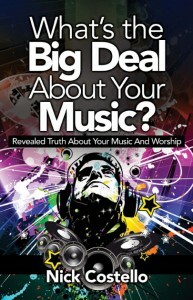 the author issues an urgent wake-up call to Christian youth everywhere about the dangers of ungodly listening habits. This is not just another book addressing the issue of music and lyrics. It challenges the heart of all who say they’re a worshiper of Jesus Christ! “This is a very relevant issue of concern for many parents and youth pastors today,” the author says. “It addresses a subject which is perhaps the most powerful influence in a teenager’s life…their music. After a teen reads this book, they will never be able to listen to their ungodly music ever again without knowing it grieves the heart of God and gives the devil the glory and honor only God deserves from them. They’ll also learn godly life-living principles, how to become an uncompromising follower and champion worshipper of Jesus. deeply his love for secular music grieved God’s heart. “After wrestling with God about it all, I chose to destroy all my ungodly music. I got my music listening habits right with God, bringing honor and glory to Him” he explains. The introduction features Nick’s testimony including photos. What’s The Big Deal About Your Music? Is an awesome teaching tool for parents and youth leaders. A must read for every teenager!